Even in the past two years here in the conservative state of Montana, CBD oil is becoming more widely accepted. When I first started experimenting with CBD oil I was afraid to let my friends know that I had tried it, and I was a little concerned about the mail man judging me… even though I bought it totally legally (it doesn’t require a prescription or anything) and through the mail even! CBD oil is controversial because it contains cannabinoids, which are also present in THC-containing cannabis. What CBD oil doesn’t contain is the THC that is responsible for getting people high. CBD comes from hemp that is specifically bred (not GMO, but like how we get A2 milk by breeding two A2 cows) to not contain THC, but it does contain over 400 compounds that are beneficial for many people. In some cases, people benefit from extra cannabinoids, and thankfully this part of the plant is completely legal (in the US at least, I’m not sure about overseas). Supplementing cannabinoids through CBD oil has been shown to be helpful reducing inflammation (I use it mostly for this – the morning after a hard workout it works fast to make me stop feeling like I was ran over by a truck), soothe the digestive system (source), and for neurological issues such as parkison’s disease, epliepsy, and more. As we talked about in our recent brain-trauma post, many things (like the ketogenic diet!) that calm a brain to reduce seizures or slow parkinson’s also correlate to helping any kind of neurological problem – autism, anxiety, depression, etc. It’s not a stand-alone thing, there are many components to a mental-health program, but CBD can certainly play a part in the ‘progress snowball’ of getting one thing that works and having it snowball into a much higher quality of life. Anecdotally, I feel that CBD oil helps my daughter just as much as the ketogenic diet does. Thankfully now that CBD is recognized as being separate from the ‘high’ part of the cannabis plant, it is considerably less sketchy to buy! There are many reputable companies out there now, but I choose and trust SOLCBD due to the ingredients they use, that they screen and eliminate all THC (so no chance of it showing up on a drug test! ), and their super-clean method of extraction with CO2. You can use the code HHH5 for 5% off + free shipping on orders over $75 when you order from SOLCBD. It’s a great time to give it a try! You all know that I advocate choosing cold-pressed olive oil because all the delicate plant compounds (even the compounds that our brain uses, but science hasn’t quantified yet) are preserved when heat is avoided. For this same reason, I love SOLCBD as well – they use a pure cold extraction that retains over 300 of the plant compounds that all work together within your body. For people who are very sensitive to dietary or supplement changes (this will be many of our spectrum-y kids who often get a healing crisis when something new is introduced) Whole Body Activation Tincture is a slower-acting more slow-and-steady tincture that still contains all the needed compounds. I use this with my daughter since the Lipsomal is ‘too strong’ for her. I do see an immediate (5-10 minutes) change when she gets this, she is just really sensitive. For those who need more quick absorption,Lipsomal CBD quickly enters the bloodstream in water-soluble form (which dissolves in the blood). I use this for workout recovery and many use it for fast-acting anxiety relief. For those with pain, topical CBD balm can be applied directly where it is needed for a localized application. CBD is absorbed through the skin. CBD is not for everyone, and if you have a specific health condition or are on a medication you should check with a qualified physician before use. I am just a mom, not a medical professional in any capacity, and this is informational in nature, and this cannot be considered medical advice. 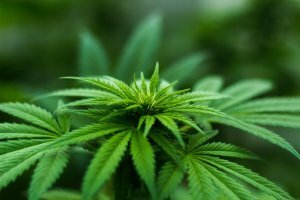 High doses of CBD may make you more sensitive to pain medications, and can interact with some seizure medications, for more information please click here. CBD is a welcome and soothing part of a healing protocol, and I’m really excited to be able to share the company that I trust with you. Don’t forget to use code HHH5 for 5% off! The post CBD (Cannabis) Oil for Cell Healing, Inflammation, Anxiety, and More appeared first on Health, Home, & Happiness.